This year only, the 2019 Canadian Mountain Running Championships will be open to anyone to register! The Canadian Mountain Running Championships are being held at the Quebec Mega Trail race together with the Canadian Ultra Trail Championships and will showcase the best trail and mountain runners in Canada. There will still be a 2019 Regional Mountain Running Qualifying Race Series, which will allow you to qualify a year in advance for the 2020 Canadian Mountain Running Championships. After discussions with athletes and race directors, there was a strong interest for athletes to have the opportunity to qualify well in advance for the Canadian Mountain Running Championships. This means, starting in 2020, you will need to qualify for nationals by running in one or more regional mountain running qualifying series race the year in advance. We will making an announcement shortly about which races in the 2019 Canadian Regional Mountain Running Qualifying Series races will allow you to qualify for the 2020 Canadian Mountain Running Championships. 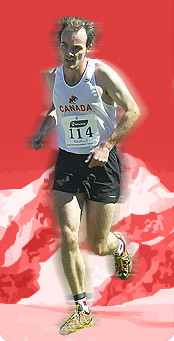 In most regions, you will need to run two or more races in the region to qualify for the Canadian Championships.